Travelers arriving to the United States on international flights were met with a nightmare situation at airports around the country. The U.S. Customs and Border Protection Agency suffered a large computer failure Monday night. Passengers entering the U.S. from another country must go through Customs and verify their passport in order to leave the airport. This outage left flyers waiting in line for hours while the system was fixed. Airports in Atlanta, Miami, Salt Lake City, Washington, New York, and Fort Lauderdale all suffered from delayed passenger processing. The Customs and Border Protection Agency reported the port-of-entry delay began at 5pm ET and lasted until 9pm that night. 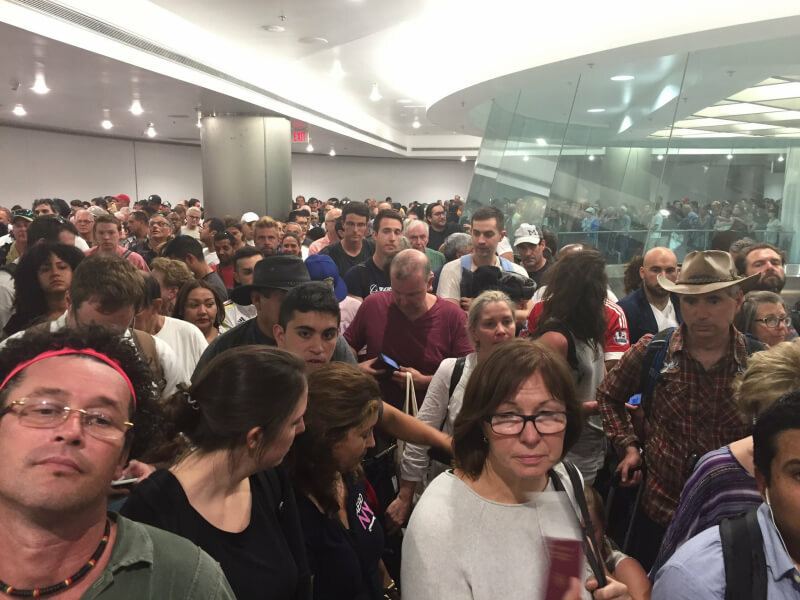 CBP's response angered many flyers when they described it as just a "longer than usual wait". There were multiple reports of passengers passing out and vomiting in line as well as dozens of disgruntled travelers taking to Twitter to share their frustration. The four hour outage came on one of the busiest travel days of the year and ended up delaying tens of thousands of passengers before it was resolved. Passengers were left waiting in cramped hallways with little ventilation, water, and places to sit. CBP does not believe the outage was malicious in nature.